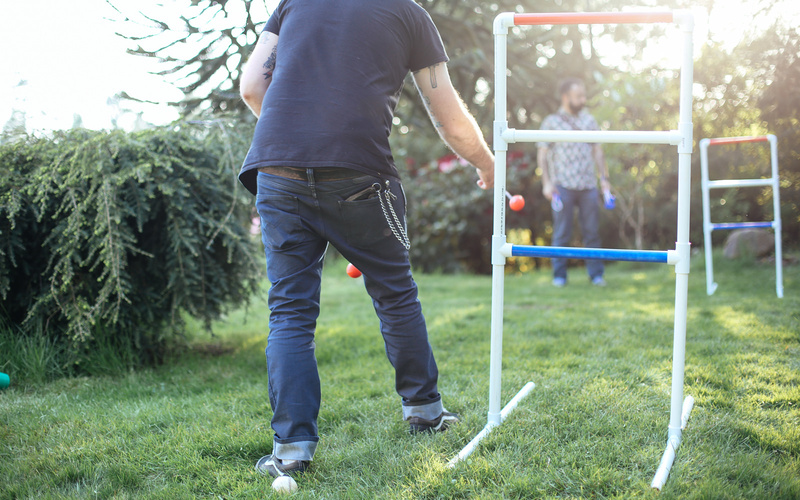 Summer is for lawn games and BBQs. 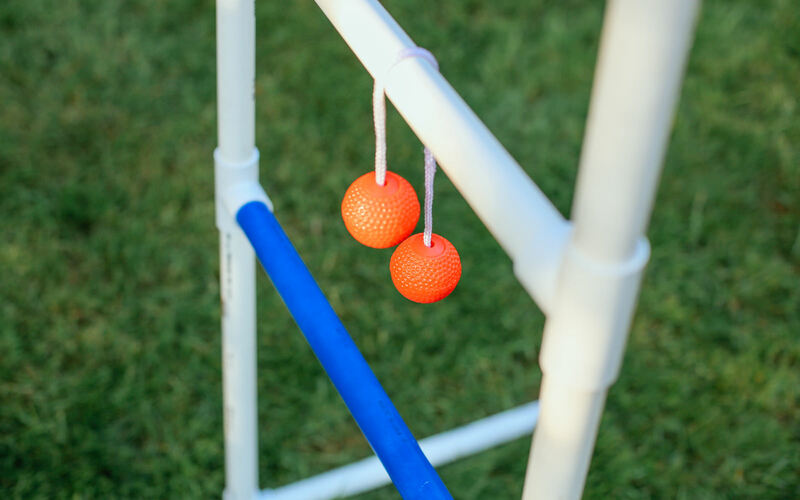 This ladder golf set is the perfect addition to your summer playtime toolkit. Have you ever used a handsaw and ended up with crooked cuts? Well, now there’s a tool that actually enables you to measure twice and cut once. I’d like to introduce you to the Miter Box. This tool is a lifesaver. 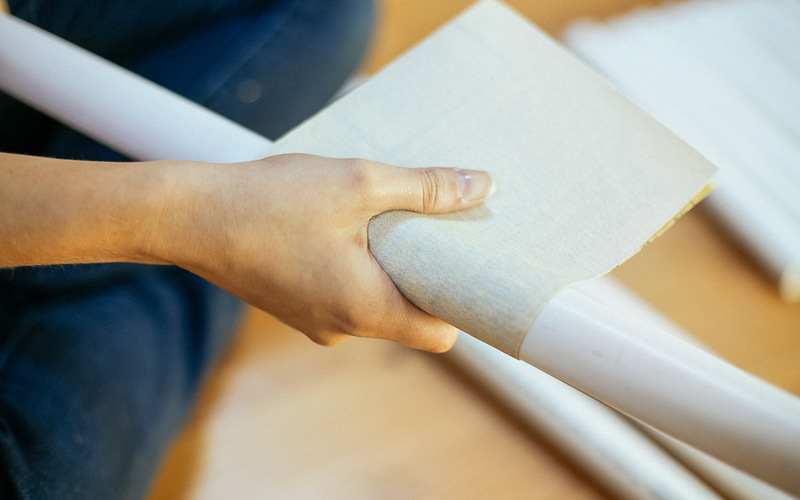 It essentially acts as a guide to keep angled cuts straight. 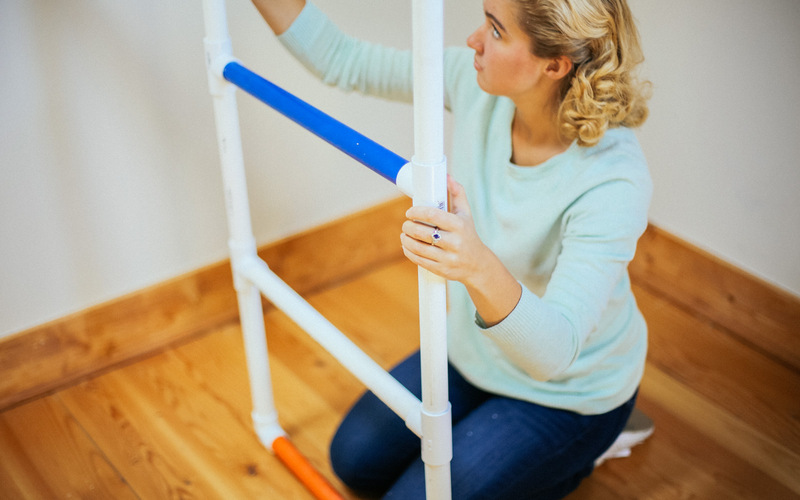 We wanted to keep the learning experience fun, so we made a ladder golf set to hone our miter box skills. 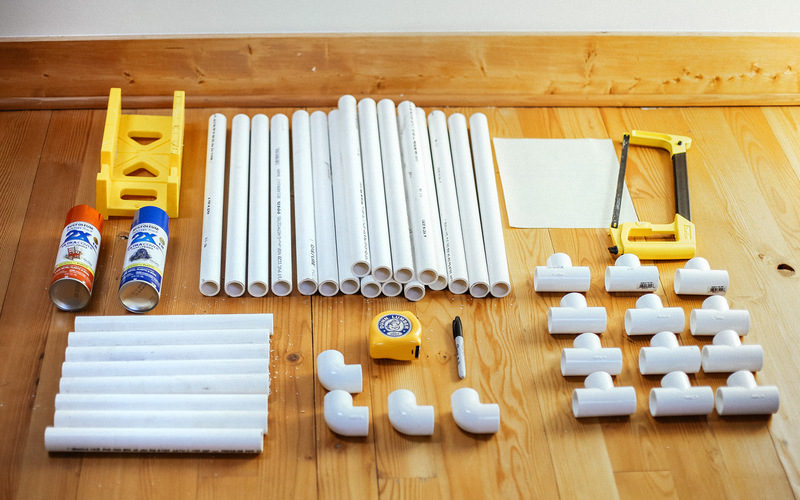 Begin by cutting your PVC pipe. 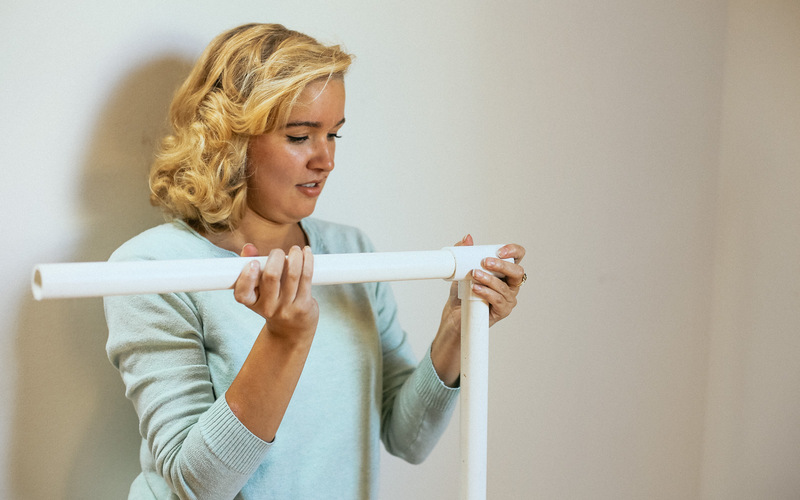 You’ll need to cut the following pieces for each golf ladder that you build. We made two golf ladders. 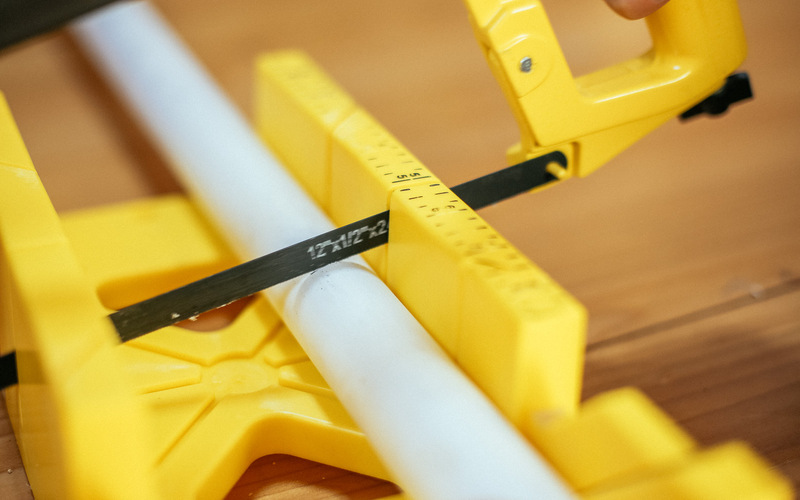 Measure your lengths, then place the PVC pipe in the miter box. You'll be making a 90 degree cut. Use your saw and begin by pulling the saw toward you (don’t pull back and fourth). Once your saw’s teeth have made a groove you can switch to the back and fourth motion. Now it's time to prep the surfaces for paint. Select four 10" pieces and sand each of them. This helps the PVC pipe hold the paint. 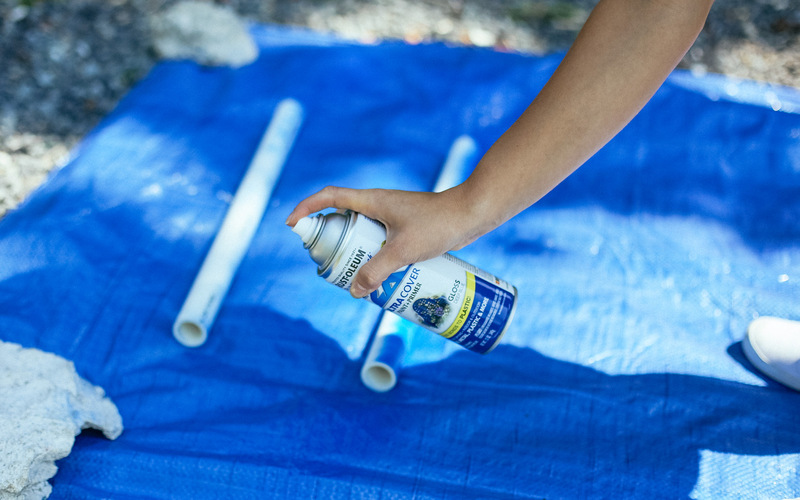 Grab your tarp, paint, and four 20" PVC pipes and head outside. We chose red and blue to give our ladder a patriotic twist, but you can choose whatever colors you like. 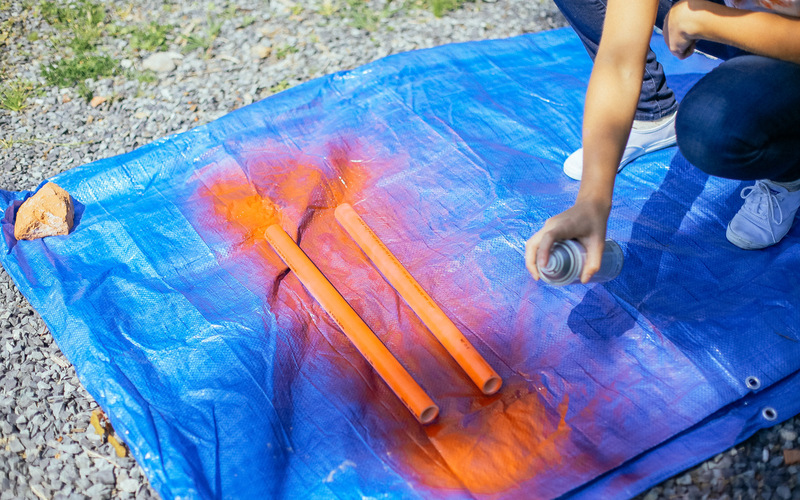 Set the PVC pipes on your tarp. Now spray one side and let it sit for 10 minutes. Turn it over and spray the other side. Let it sit for 10 minutes. Do as many coats as you’d like. We recommend at least two. After your 20” pieces are dry, it’s time to assemble your golf sets. Start from the top and work your way down. 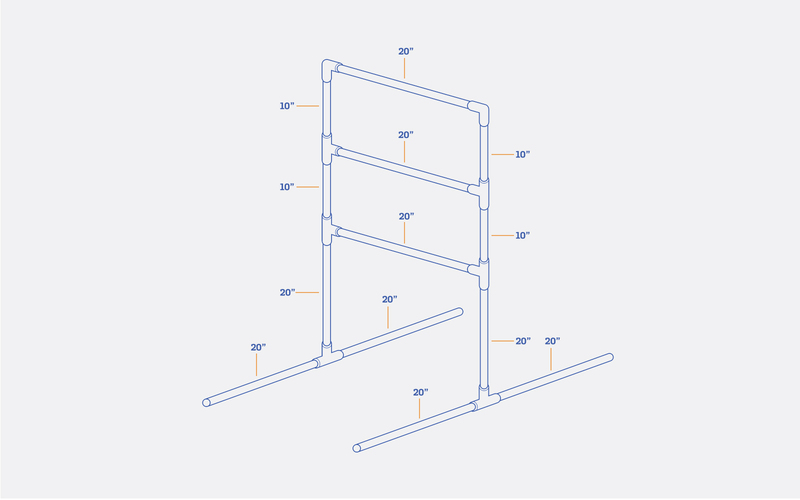 Refer to the diagram below for help as you assemble the ladders. 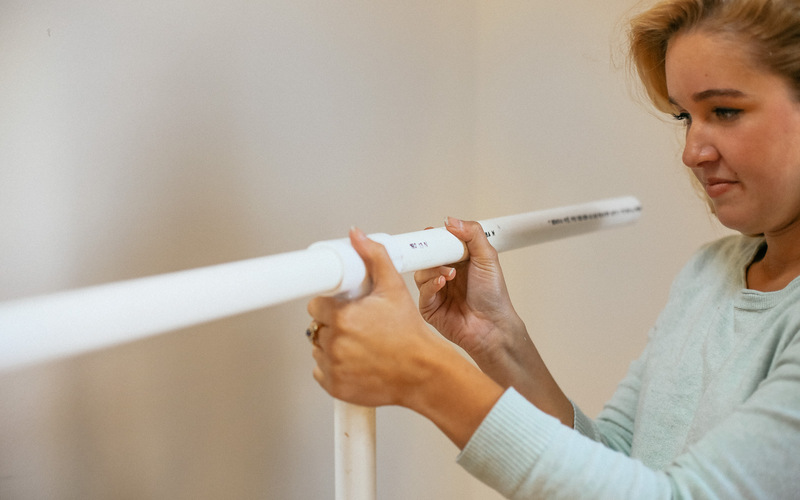 Use two 1″ 90 Degree Right Angle Joints to connect the top of the ladder and use six T-connectors to assemble the remaining pieces. We're using papers from Rifle Paper Co. to make a stylish wooden paper tray in less than an hour.